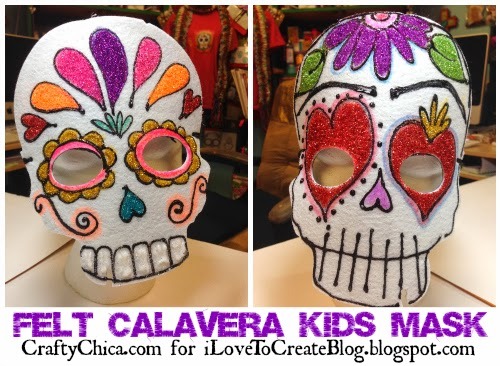 Here at la casa Murillo, Dia de los Muertos is in high season! While I have a face paint kit out on the market, some people would rather wear a mask - totally understandable! I was at the dollar store recently and came across some scary felt masks shaped as skulls. My first thought was to paint over them, but then I thought - why not flip them around and decorate the back sides of them? It worked! 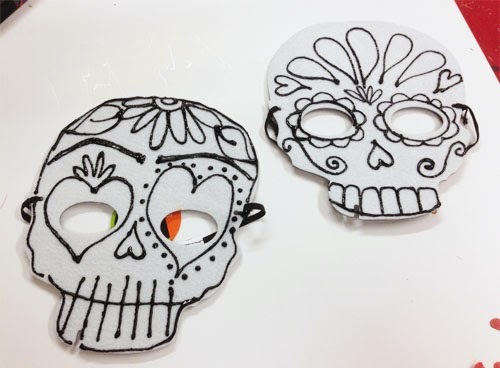 If you can't find these at the dollar store, just pick up some stuff felt at the craft store, draw a template and use it to cut out your masks. 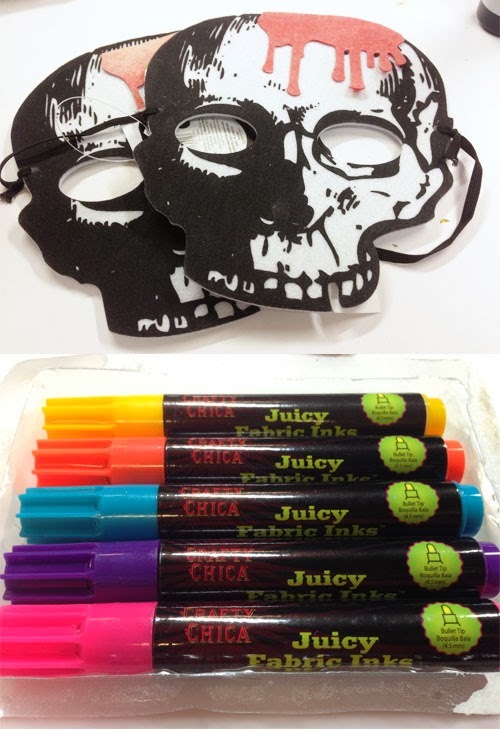 Here are the masks, and my Crafty Chica Juicy Fabric Inks! 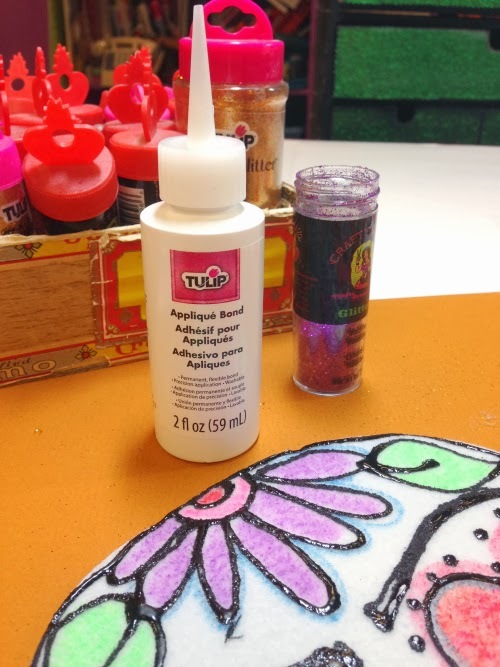 I also used Tulip 3D Dimensional Paint, Tulip Glitter and Glitter Bond. 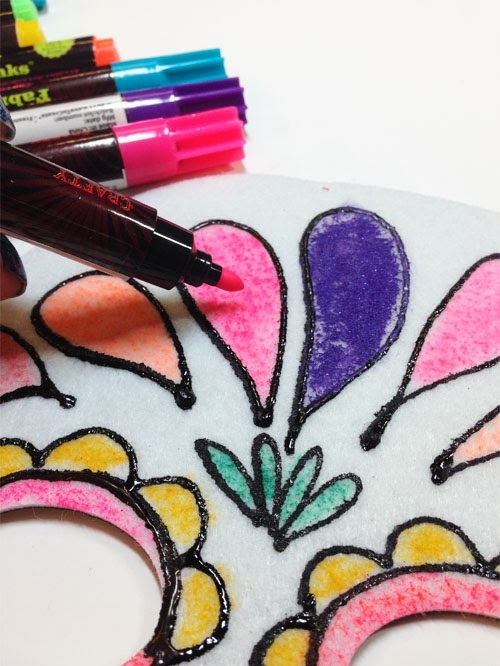 Draw a sugar skull design on the mask with the dimensional paint. Let dry. Once they are dry - it's time to fill in with color! These markers prove their juiciness! Felt would normally soak up the ink, but they filled inthe areas quite nicely! 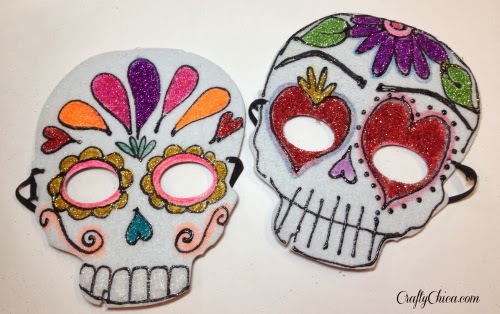 Fill in with the adhesive and add glitter! Let dry! What a difference from how they started, right? Love these! 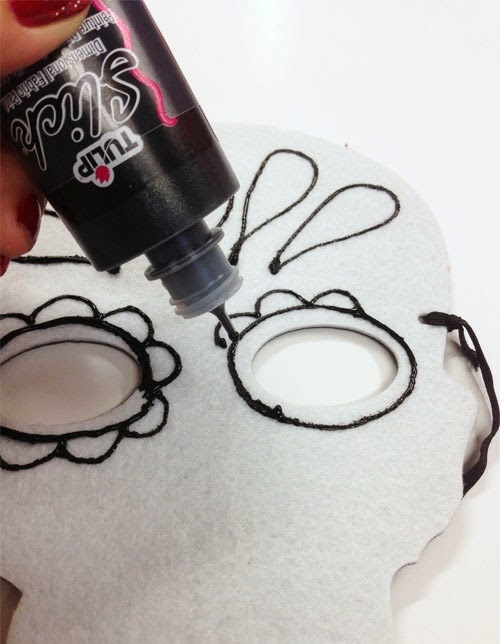 Adding it to the list for crafts with the girls!